Condition: Good+; Some of the tilssue guards have caued light foxing, mainly in the margins, else about VG. London: Cassell, Petter & Galpin. Good+; Some of the tilssue guards have caued light foxing, mainly . in the margins, else about VG.. [ca1893]. Second Edition. Hardcover. 4to 11" - 13" tall; Recased in period style half calf with five raised bands, attractive marbled boards, new end-papers, all edges red, x, 608p., 25 color plates and numerous wood engravings, index. **Grimshaw's The Horse: #619, main entry. 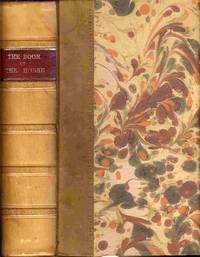 "...best know of these encyclopaedic volumes." . Book condition: Used - Good+; Some of the tilssue guards have caued light foxing, mainly in the margins, else about VG.